It’s a sad day for Australian politics when our Prime Minister plays the race card. To the point of boredom he tells us that we are the most successful multi-racial country in the world, yet at the same time tells us people are scared to leave their homes to eat out. On the eve of some important by-elections, Malcolm Turnbull is doing whatever he can to give those standing for his side of politics a better chance. If his means playing the race card regardless of the facts, the truth, or personal belief, he will do so. I don’t believe he is a racist. Peter Dutton started it saying that African gangs were “wreaking havoc” in Victoria. Sudanese particularly. In an eight-minute editorial package written with The Project producer Tom Whitty, Aly on Thursday presented a number of statistics that placed question marks on recentclaims by several politicians that violent African gangs were “wreaking havoc” in Victoria. “This week the Prime Minister said something interesting,” Aly started, cutting to a video of Turnbull in a 3AW interview earlier this week. Adding that while the Sudanese community is clearly over-represented in the crime stats, Aly said that what’s more interesting is that “Australian-born Victorians were responsible for 71.7 per cent of the crime committed last year”. Despite these figures, Aly pointed out, Turnbull continued to push the point that there was an issue with African gangs specifically. I have asked on social media on many occasions if someone could tell me just what specific Australian values there are that are not universally held by other social democracies. I have never had an answer. “Segregation,” I thought to myself. I dislike the word intently for the images it places before one’s eyes, but nevertheless it is something we have practiced for as long as immigration has existed and is as natural as life itself. “Some of the challenges to social cohesion that we are facing today are similar to ones that the UK is facing – such as ethnic segregation and liberal values being challenged,” Trudge went onto say. His speech was full of racial overtones calculated to incite further violence back home. And it seems to be working. Given that Jesus was the world’s first socialist he arguably has a conflict of interest. Australian politicians currently have a 15% trust rating. When people in the LNP who are not necessarily racist deliberately play the race card to steal a few votes from a real racist in Pauline Hanson they not only shame themselves but the nation itself. When the Prime Minister seeks to incite racial hatred he demeans himself and the great office bequeathed to him. Dutton was at it again last Sunday and twice this week I have seen him repeating the same stuff. Growing up as a small boy in Brunswick I witnessed this thoughtless bigotry. I was told not to walk to school on the side of the street where the Jews lived but happily sought their friendship when I arrived. I lived through the period of Italian and Greek immigration when most Australians through their ignorance looked upon them with disdain. Later they celebrated the marriage of their sons and daughters to them even overlooking a religious divide. I celebrated as Australia began to absorb the breathtaking contributions of these nationalities that saw us grow as a nation. Along the way there were tensions but they never stopped the Advance of Australia fair. Great to see another piece by you John, you seem to have vanished for a while. Great work, keep it up. Are you planning on continuing your “Day to Day Politics” pieces as they are always a great start to the day? Good to have you back,John. You are spot on. These politicians are shameless. Good to be back Peter. “review and revise relevant legislation, policies and practices related to immigration detention to ensure that migrants are not detained arbitrarily, that decisions to detain are based on law, are proportionate, have a legitimate purpose, and are taken on an individual basis, in full compliance with due process and procedural safeguards, and that immigration detention is not promoted as a deterrent or used as a form of cruel, inhumane or degrading treatment to migrants, in accordance with international human rights law”. Most reasonable people would find this UN agreement to reflect the humanity that needs to be to the fore in the management of asylum seekers and refugees. Dutton doesn’t see it that way as his whole purpose in maintaining indefinite offshore detention is for political purposes. Tony Windsor got it correct … again. But I can understand the difficulties of the White Anglo Saxon Catholic (WASC) sector. In Australia, 9/11 billionaires were refugees who worked their butts off to become successful. Now that is just unfair to the beach loving, surf crazy, beer swilling youth of Australia. Indeed, it is a suitable excuse for middle class parents benefitting from middle class government subsidies from Liarbral governments to give themselves a talking point at cocktail parties about their “personal sacrifices” for sending their screen addicted off-spring to crassly over government subsidised and academically under-achieving private schools. Then there is the gradual reduction of church influence in society. The ruling classes depend upon the churches to reinforce the dominance of the bosses, so the kiddie fiddling scandals should have been left well swept under the carpet! Thank you Detective Inspector Peter Fox (retired), Gold Walkley Award winner Joanne McCarthy from the Newcastle Herald and former PM Julia Gillard for the Royal Commission that the LIarbral Party is working to nullify for the benefit of Rome. Turnbull doesn’t see the hypocrisy in chanting that Australia is the best multicultural country in the world whilst, baldfaced, he lies about people being fearful of the Sudanese. Most disgusting, shameful PM ever. And considering Abbott went before him, that’s really saying something. Very good, John. Your posts have been missed…. Like you, I keep asking: What are the Australian values, please list them to me. “Australian-born Victorians were responsible for 71.7 per cent of the crime committed last year”. If that is true also about people in NSW, I have to take up crime to belong into the true blue clan….. If what has been going on in the North Brisbane seat of Longman reflects Turnbull’s idea of Australian Values then we all need to hang our heads in shame. The hate and vitriol, the lies and vicious rumours aimed at Shorten and the Labor candidate, Susan Lamb have been over the top. And the main culprits are the Liberals and One Nation who both have dodgy candidates. Good to see your insightful articles again John. MT’s only true values are getting re-elected, nothing much else matters and he has effectively ditched any moral scruples that he may once have had. Racism and fear of the “other” used as a political weapon. What else is new for politicians and, mostly, right wing parties. “more than a year ago I was in Canberra and found myself in a private conversation with a senior minister in the Turnbull government. He said, out of the blue, that he was concerned about African violence in Victoria. He said people were terrified and the Andrews government was failing to handle the problem. Given that crime of this sort is a matter for state governments and it had nothing to do with his portfolio, I was initially perplexed as to why he might be taking up this issue. I needn’t have been. He made it clear that he and his colleagues saw a political opportunity to get involved and use the issue to help the Liberal opposition win the next state election in Victoria. Is incitement to race hatred a crime , and if so why aren’t Dutton, the PM and the rest in court? Wondering too how it is that the NT government can happily ignore the findings and the Report on imprisoning and torturing Aboriginal youth post Dondale, ie nothing has changed. How can this be? Where is the law? Where are the common, decent people who should be in the streets and crowding MPs offices? PM Turnbull dog-whistling to racists in an attempt to make Andrews’ government look weak on crime. Can the PM stoop any lower? We see similar attitudes by many to the likes of some commentators, Ms Hanson and Messrs Howard, Dutton and now Turnbull. But unlike the animosity to the latest migrant group, our well-founded feelings to those who have a habit of rising to prominence in the Big House remain. Why can’t we ever expunge them? If Turnbull isn’t a racist, is he merely an opportunistic hypocrite devoid of the values most of us claim to hold? Great article John. Thanks. Some writers refer to Dutton’s “interesting” career in the Qld Police force. Does anyone have any more information than that? I cannot imagine he was anything but an immoral, bent copper and probably depised by most of his associates but nowhere have I seen anything but conjecture and supposition. Does anyone have anything more substantial than that? It was John Howard who decided to abandon a long-held agreement between parties about never playing The Race Card. In his effort to win back some of Asian-hating Hansonites he picked a new soft target – boat people – and the country hasn’t been the same since. When our leaders deliberately go down this dead-end divisive path many follow, believing some of their own personal prejudices and hatred have now become legitimised. If not there, they use religion or dodgy statistics for support. Unfortunately the ALP also followed that lead so they have kept little moral ground for themselves. Chances are we’ve gone so far down that road there’s no way back, for this generation at least. Perhaps the next one will do better. As a wog growing up in the late 50’s I’ve witnessed how it works and can almost “taste it” when I see it in action. Most commentators on racism have never been targetted by it and many deny it even exists. The historic reason for Australia’s nationhood was largely based on the public desire to keep out the Chinese, following pickets and demonstrations on the wharves and the White Australia Policy was officially maintained for decades.. The Sudanese strategy was used back in 2007 by the same people and for the same reason. A moral, truly decent copper is a rare thing. I’ve been in the position of seeing too many good young people enter police academies, graduate, then develop a full suite of bullying deceitful behaviours within about five years as practicing members of the “club”, despite the rhetoric upper-level police management … who have all been through the same system … spout. 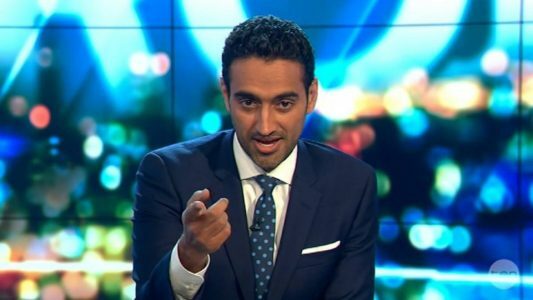 So, according to Mr Aly, what is more interesting than the fact that Somalis are punching well above their weight when it comes to crime (by an order of magnitude no less) is that people born in Australia (who, according to the 2016 census, account for 65% of Victorians) are responsible for 71.7% of crime in Victoria. Thanks John Lord for the straight talking. Many of my extended family are in and out of the city all the time and they assure me that Melbourne is not this dreadful place the LNP/IPA makes out. Off topic – I miss my AIMN emails and all the regulars. I only see occasional AIMN articles on Facebook when some kind person posts them. You said,, I done believe he is a racist”.. well you might not believe he is a racist but after what he said about Sudanese and other minorities i think we can safely call him a racist… you may want to revise your opinion of him! Paul, the answer to your question is no. As I understand it the editors are overloaded as it is and in all fairness have limited writers to 3 posts a week. You can follow me on my Facebook page for other stuff. Shame on you Malcolm Turnbull.